In it's home country of Great Britain it was a competitor to the Ford Anglia and the Morris Minor. 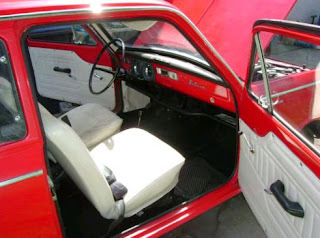 It was the first small car to come from Vauxhall since WWII. In Canada it was sold through Pontiac / Buick dealerships. For awhile it was the second best selling import (behind VW) in Canada. Like the VW Beetle, the Viva is slow, but gets respectable gas mileage. Also like the VW, it's mechanically simple and easy to work on. And, once again like the VW, its handling is not its strong suit. For a car that sold relatively well, there are very few left. Rust was the big enemy. 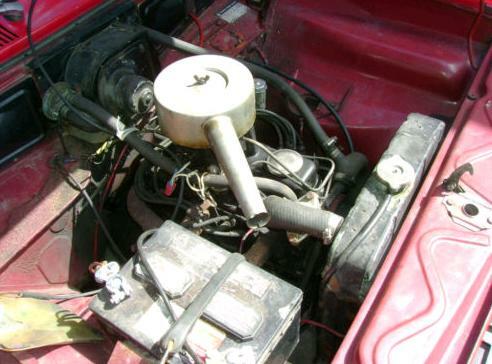 The seller says he's owned this one for "a number of years" and "only drives it in the summers". It's had a bit of work done to it over the years, but nothing that could be described as a restoration. The front seats have been reupholstered, the carpet has been replaced, an alternator has replaced the generator and it's been repainted once. The car has some minor rust that should be attended to right away and the seller says the battery loses its charge every few weeks. Go to any British car show and you'll see dozens of MGBs, Spitfires, TR6s, Healey 3000s, Spridgets and assorted Jags. You'll most likely not see a Vauxhall Viva. Here's your chance to have the one and only. Located in Kelowna, BC, Canada, click here to see the eBay listing. Is this the flying "Weasley" car from Harry Potter? 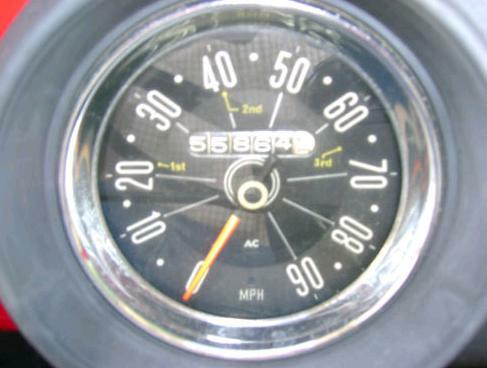 Nothing curious about the speedo, Canadian instruments didn't change to Metric until 1977. 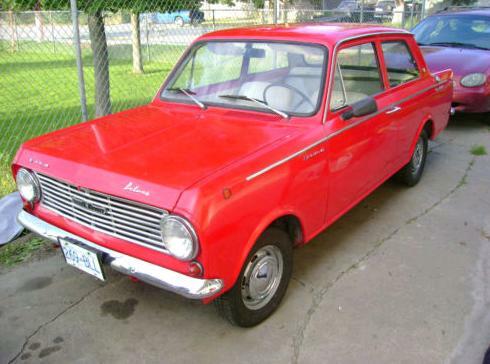 These things (plus the badge engineered Envoy Epic twin) were everywhere in the mid-'60s, but disappeared quickly. I don't imagine owners got much more than 4 or 5 years out of them. Hey Anon - I forgot about Canada being non-metric at one time. Thanks! It makes sense now. Interesting. These are the kinds of great posts I like so much about JaCG. Who else would have noticed such an obsure model? 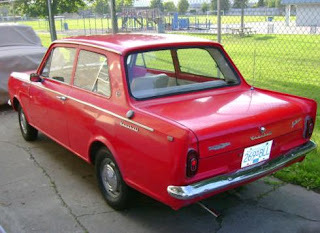 It looks like a cross between a ford falcon and datsun 510. Ford actually produced some really interesting cars in Europe in the 60's and 70's. The Viva is so dull as dishwater, it makes the Kadett look thrilling! If Vauxhall cars were so bad, how come they sold in such big numbers? Would take any Vauxhall over a VW bug any day. Now that is a steaming pile of poo driven by mugs who think they are cool.